So it has been a few days and I have gone back and forth about whether or not I wanted to post something. Not because I want to ignore it, but because honestly, I am tired of bonding in misery. Today, I finally felt like I had it in me to write something that wouldn't come across as angry, but something that could be viewed as as a placeholder as to how and why I feel the way that I do. I recall when I got the news. I was laying in bed, on my phone in the morning reading as I normally do every morning when I wake up. Tears immediately filled my eyes as I saw one of my friends post that he couldn't find his brother who had gone to the club that evening. Another friend posted that one of their friends who was also a drag performer was also not able to reached. Friends started commenting and I just sat back asking myself why. As the days progressed and more information came out about the story, I began to become filled with so much rage. I was angry. I was upset. I was frustrated. Why is it that we, queer people? Always seem to be under attack? As I took the week to plan my jobs vigil, I kept saying to myself, "don't let the darkness silence your light". Our community is and will always be a light. We shine brightly and the world has never and will never deserve us and all of our magic. For those who are having to celebrate the lives of those who are lost, my heart is with you. For those of you who have to live vicariously through the pain of those who have been effected, I tip my hat to you. Let it us not forget the names, the lives, the love that each of these people had. 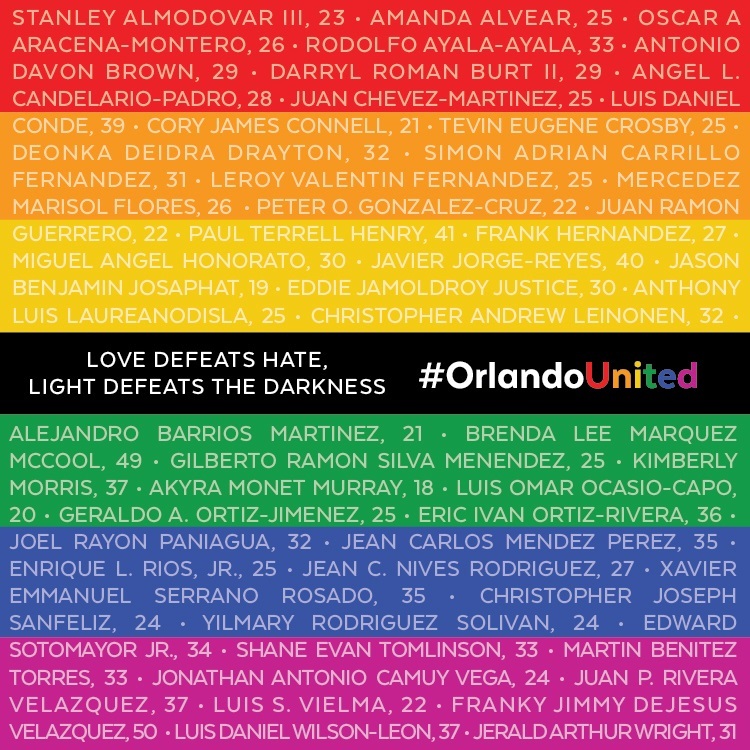 I refuse to call this an anniversary, but a celebration of life, love and freedom: knowing that everyone who we lost, is one more star burning brightly for me to see throughout my darkest of days.